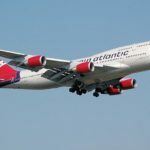 Virgin Atlantic promotion: Cheap flights London to USA from £262! Cheap non-stop flights from London to Kuala Lumpur from £392! Cheap return flights from Vienna to Los Angeles from €251! Virgin Atlantic promotion: Cheap flights London to USA from £257 or Caribbean £351! *UPDATE*. : Adding some great fares from London to Caribbean – Barbados, Jamaica or Antigua and Barbuda available from £351! If interested in this Virgin Atlantic promotion look for flights from 9th of January till 29th of March or 22nd of April to 20th of June 2019. Blackout period around Christmas Holidays. Max stay 12 months. Both outbound and return flights have to be taken in this travel period. Promotion is running till 31st of January. British Aiways have releaesd global sale from London. Check our BIG list of discounted flights in this article. Travel dates. Vary by each destination in America, you can simply check here directly with Virgin Atlantic as they offer up to 5 weeks view. Enjoy discounted flight deals with Virgin Atlantic, classic British airline offering its service to various destinations in North America as well as to Caribbean. China or South Africa. Booking samples of this latest Virgin Atlantic promotion: Cheap flights London to USA from £257! In this case you would be departing from the UK to Miami on 14th of January. Your return flight from this city in USA back to the United Kingdom would be on 28th of January 2019.